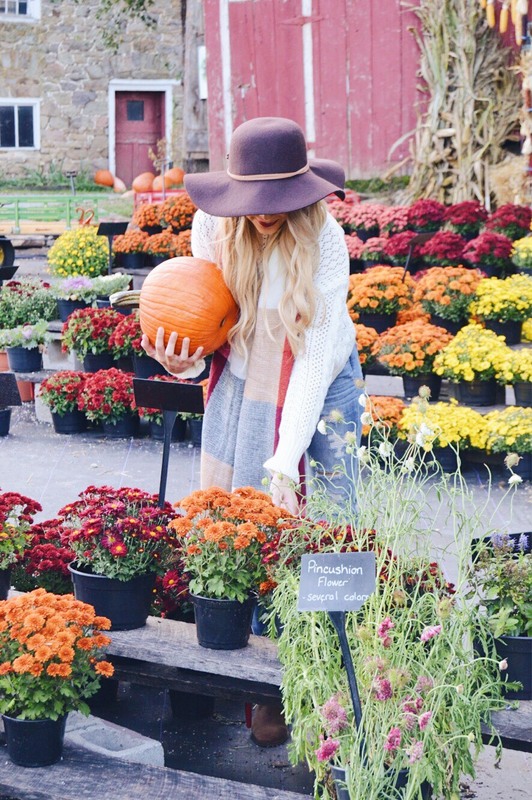 Going to Union Mill Acres always puts me in the fall spirit. 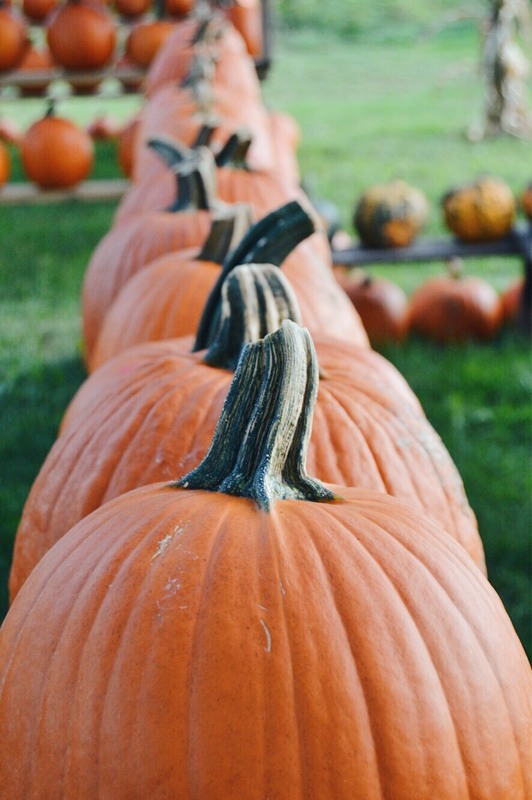 My family and I discovered this hidden gem of a pumpkin patch back in 2014 (see photo here) and have gone every September since! 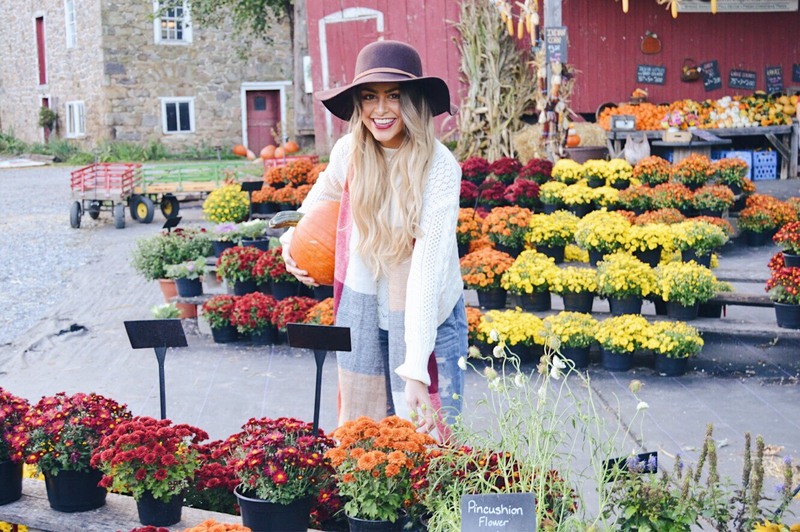 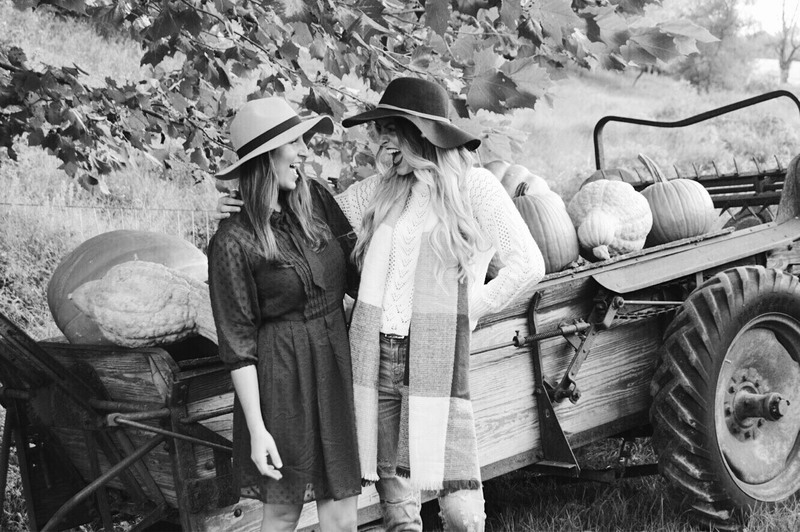 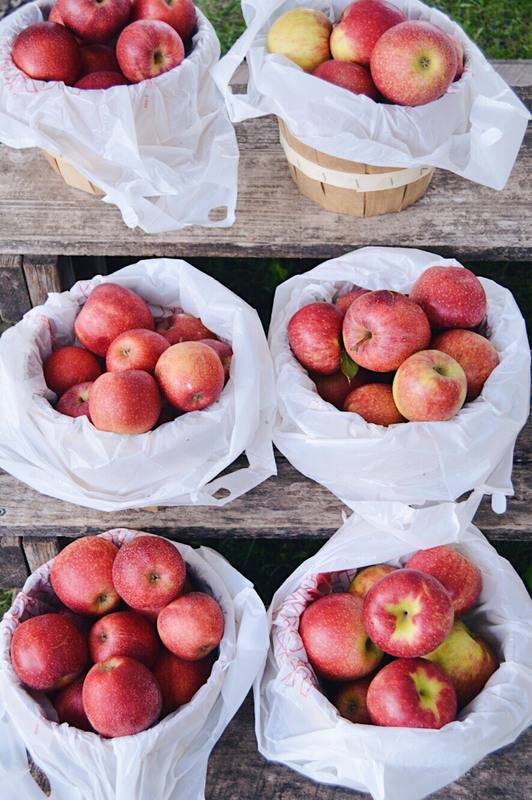 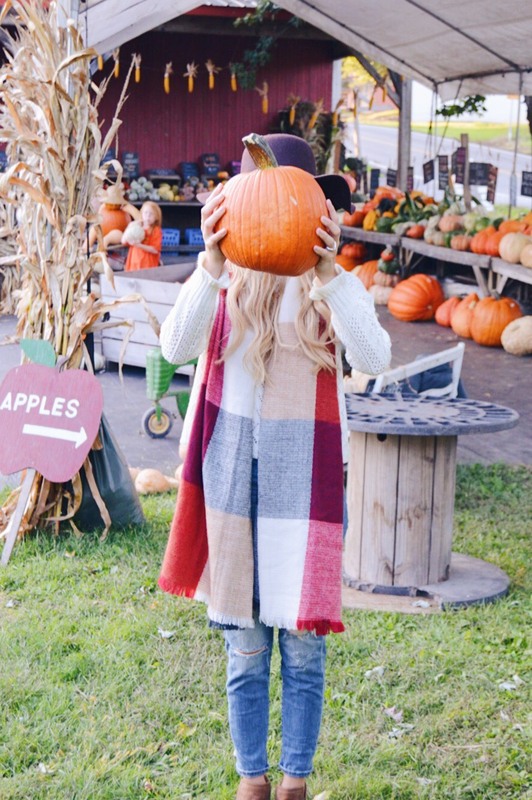 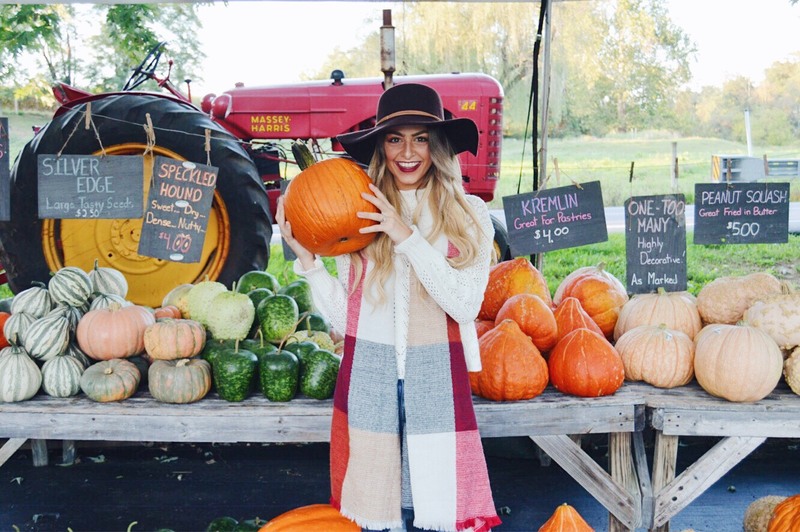 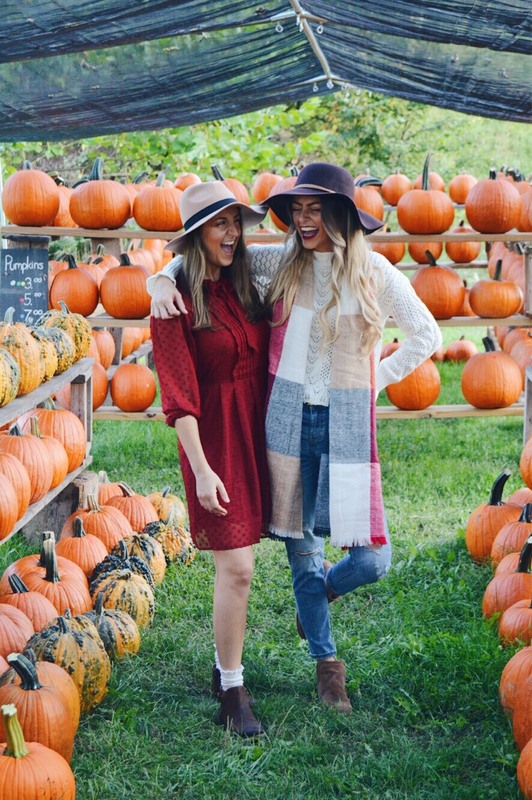 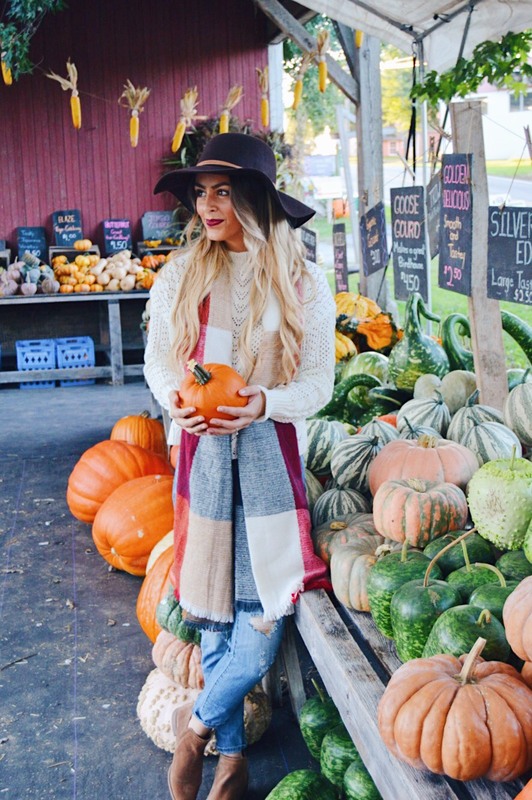 I love getting dressed up in cozy layers and picking out the perfect pumpkin to display on our front porch. 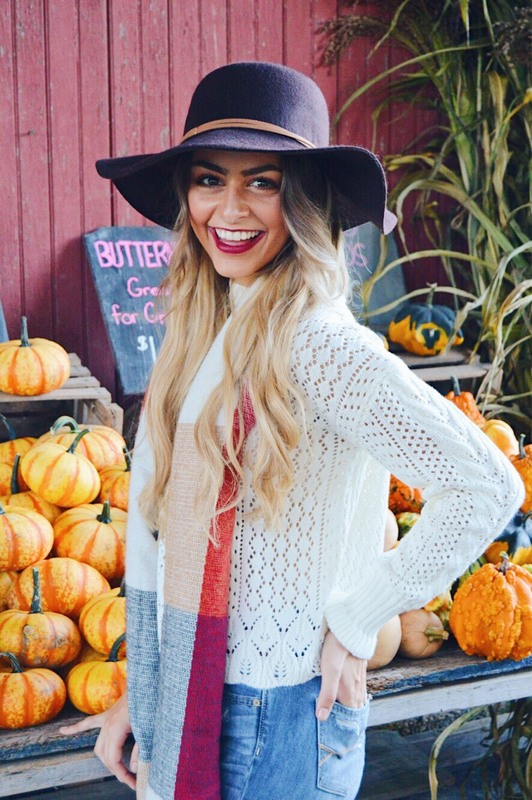 This year I wore this soft knit sweater paired with a blanket scarf, some boyfriend jeans and booties for the perfect fall look!